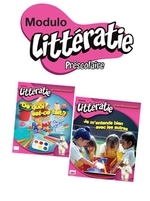 Premiers pas en littératie provides kindergarten teachers with proven strategies for creating stimulating classes in which children actively participate in their education. These individualized learning strategies are based on play and children’s first experiences of literacy at home or in daycare. 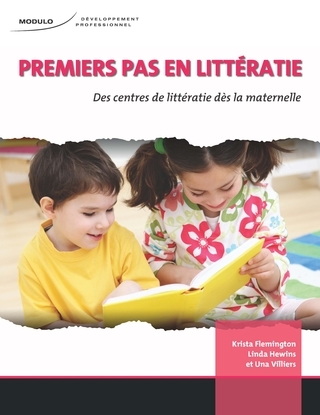 Teachers discover how to optimize the potential of literacy centres organized around: drawing and writing, the house and dramatic arts, reading, construction, visual arts, sand and water play. These centres or workshops are designed to offer children authentic activities in which they listen, speak, read, write, and observe.